When Ronald was 11-years-old and his dad asked him what he wanted to be. He remembers replying without hesitation, “I want to be on TV! Can I do that?”. Shortly after he began acting classes and never turned back. Since graduating with a BFA from Pace University in 2017 from the nation’s first Acting for Film, TV, Voice-overs, and Commercials program, Ronald has been keeping busy shooting several projects including the short films, Percy & Ceasar: A Slave Love Narrative Seldom Told (2019), Home Orange (2019), FISH (2018), Fang! (2018), as well as co-starring in Swidz Productions first ever web series, Laila’s Lair (2019). When he’s not acting you can find Ronald traveling across the world (his most recent trip being an 8-stop tour around Europe, Morocco, and Turkey), hanging out with his best friend (his 9-year-old little sister), or binging on some juicy drama series’. Congrats are in order! Ronald is ecstatic to announce that he is officially signed across-the-board with bi-costal talent agency Seven Stars Talent! Currently being represented by talent agent, Lynda Arnold. Percy & Ceasar: A Slave Love Narrative Seldom Told is wrapped and making it’s way around the festival circuit! Slated to be released in 2019, this short film tells the story of a field hand trapped in the middle of a fatal love affair with a house slave and their master. 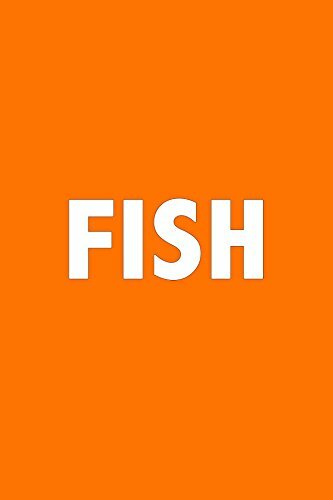 Ronald is excited to announce that Fish, a short narrative about life in the Bronx through the lens of 2 queer brown men and their weed loving friend, Illich (aka me) is OUT NOW!!! Swidz Productions presents: Laila's Lair! Shooting for Laila’s Lair has wrapped and it is currently making its way around festivals! You can find him playing Brent in the up and coming comedic web series produced by Swidz Productions, expected out in 2019! The series follows Laila, a naive, privileged, homeschooled girl who decides to attend college in The Big Apple and the events that ensue as she truly opens her eyes up to the world around her. Currently in Post-Production, you can find Ronald playing Sammy in Home, Orange, a short film that tells the story of Jalen, a 16-year-old teen who unexpectedly ends up in what appears to be a life or death situation...in his girlfriend's parents' home. Slated for a 2019 release. You declared war on the future. But the future gets your coffee. Written and directed by Brendan Hughes as a part of Pace University's Film Festival, Unpaid Interns tells the story of five young adults who refuse to bow down to American plutocracy. Click play to find out how! Catch Ronald roaming around NYC in Russian in the City’s latest ad for their up and coming clothing line here. This shoot was definitely a blast! Woohoo! Please complete the form below, send an email over to RonaldThomasHinton@gmail.com, or call the number below!